Authors and publishers are invited to consult Planeta.com's insider tips. BUY A BOOK -- Books link to Amazon.com and purchases help support this website. - Eighth edition. Recommended guidebook for travelers heading to South Africa. - Bangs' grand adventure looks at the Maori concept of kaitiakitanga, one of the pilars of the current tourism strategy in New Zealand. - Great tips for those heading to to New Zealand. - Discover twice the city in half the time. 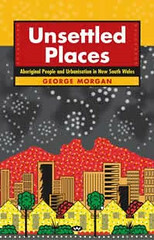 - Aboriginal Australians resisted the idea of abandoning their culture when they moved into cities. Morgan reviews how tenants in New South Wales housing responded to social engineering. 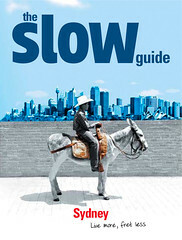 - Sixth edition of Lonely Planet's hometown guide to Melbourne. - Covering the basics for backpackers of all budgets. 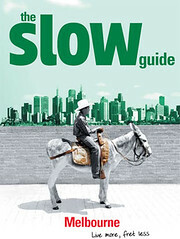 Includes cultural insights and practical tips on choosing everything from luxury lodges to bush camps. - Second edition. - Nearly 1,000 pages in length, this book has hundreds of helpful suggestions for travelers on all budgets heading to Australia. - Third edition. Great tips for travel throughout the continent and insightful sidebars. - One of the most interesting books of the year, this guide helps travelers understand the country's 50,000 year-old cultural tradition. More than 60 indigenous people contributed to the volume which provides detailed info about tours, sports and music. The guide explains how to visit Aboriginal culture as well as practical suggestions on tours. - This the first book in a new series designed to provide an activity guide to the top wildlife-watching destinations in the country. Australia boasts the tropical wetlands of Kakadu to the desert landscapes of the Centre. The book includes full color maps of parks and protected areas and a stunning wildlife gallery. If you're headed to Australia, you'll love this book. - This book established the late author as one of the finest writer's in the English language. It also redefined the travel writing genre. Set in Australia, the book is a mix of fact and fiction and seeks to answer timeless questions such as why humans love to travel. Is the wandering life aberrant or truly the norm? Chatwin makes the case that travel is that what makes us human. - Must sees on this Pacific Island. - Brand new guide to Ireland! - The book features nearly 50 special local places to eat, stay and savor.